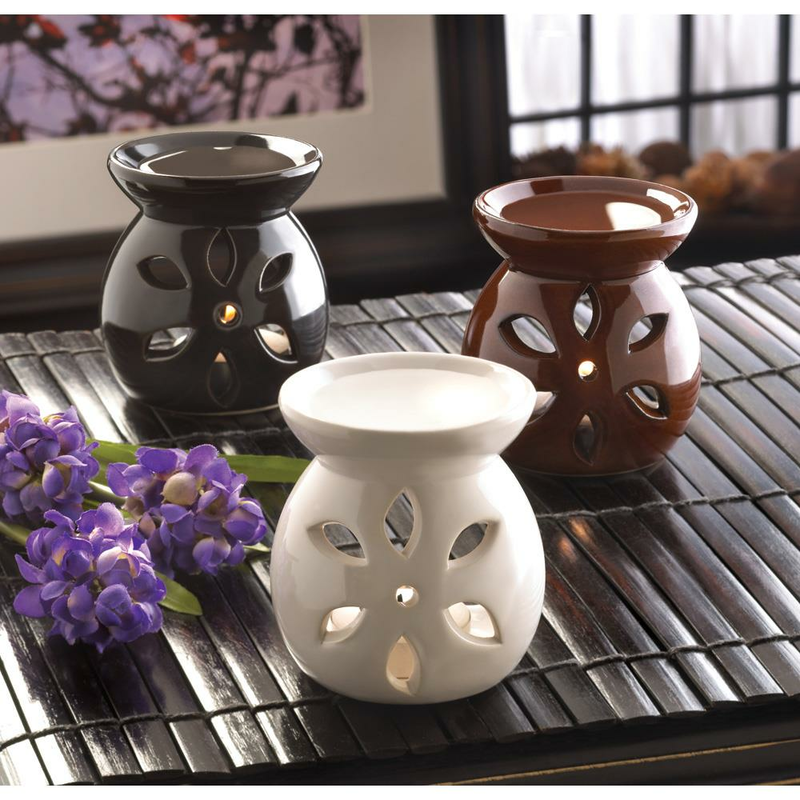 Attractive ceramic decorative oil warmers beautify most any décor, brightening the room with twinkling light and a subtle hint of fragrance. Weight 1 lb. 2.75" x 2.75" x 3". Ceramic. 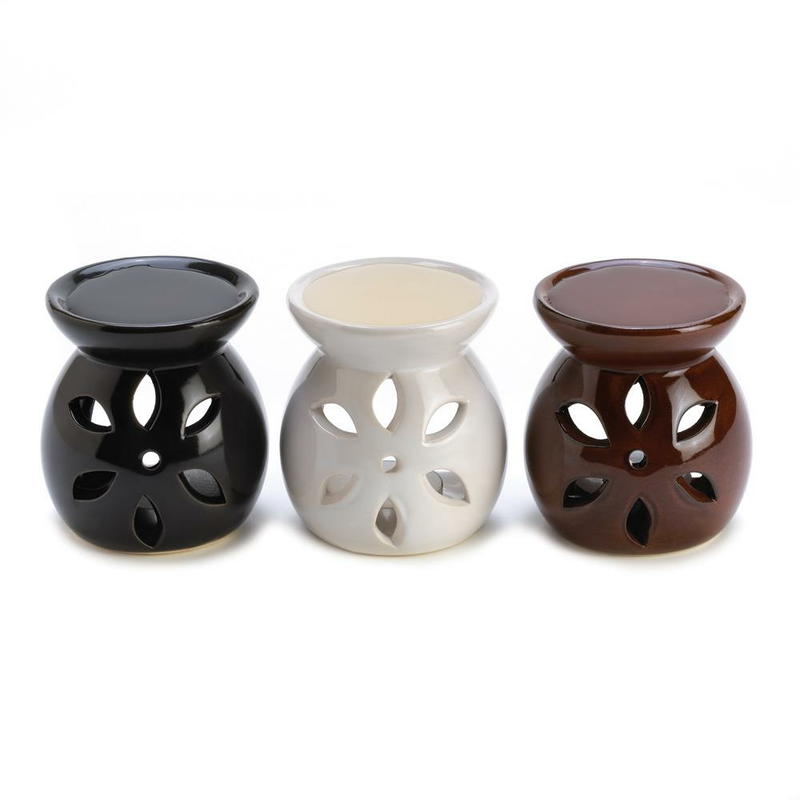 Tealight candle and oil not included. UPC: 849179001483. 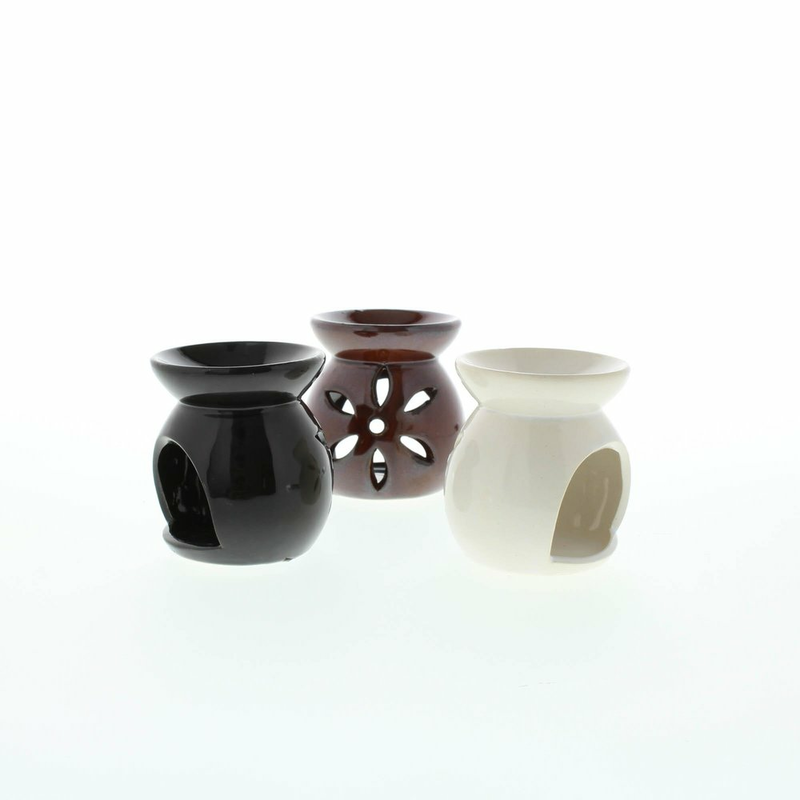 Set includes one each in white, black and brown glazes.